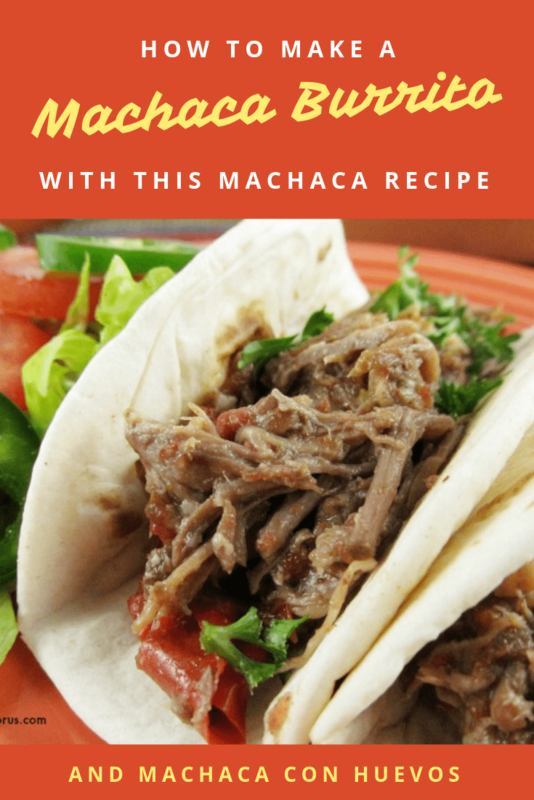 We are sharing our favorite Beef Machaca Recipe today and how to make a delicious Machaca Burrito for dinner or breakfast. Not many are familiar with the name Machaca but I know many of you have tried it and called it by other names. 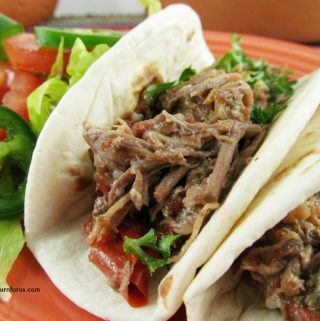 Machaca is lightly seasoned and flavored shredded beef cooked with red bell peppers, garlic, and onion. 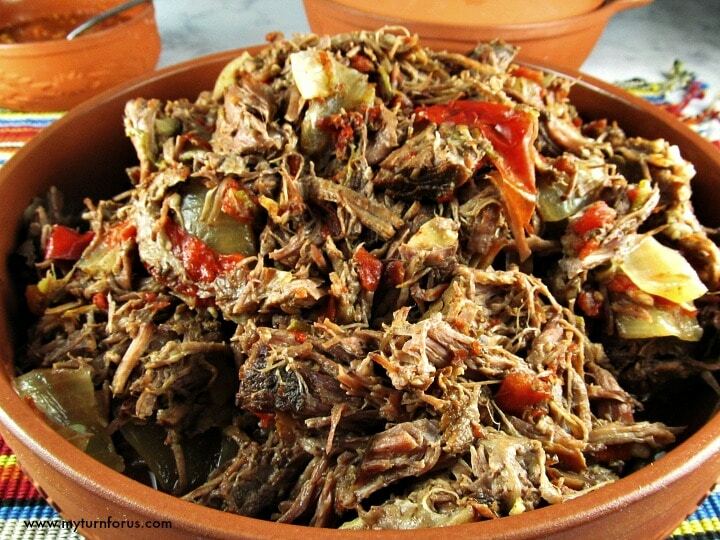 This Machaca recipe for beef is a Mexican roast beef but shredded. Normally we would make a machaca burrito but to show off that delicious filling we served it like a machaca taco. We are also using a slow cooker so dinner can be on the table that evening with a minimal amount of work. What is Machaca con huevos? Machaca con huevos is a mixture of meat and eggs and is usually served as a machaca con huevos burrito for breakfast. 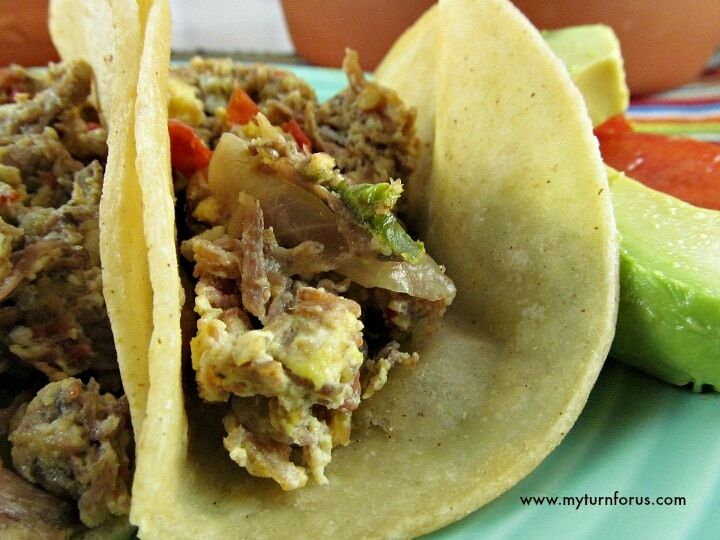 Make a Machaca breakfast machaca con huevos burrito by adding eggs to heated machaca. 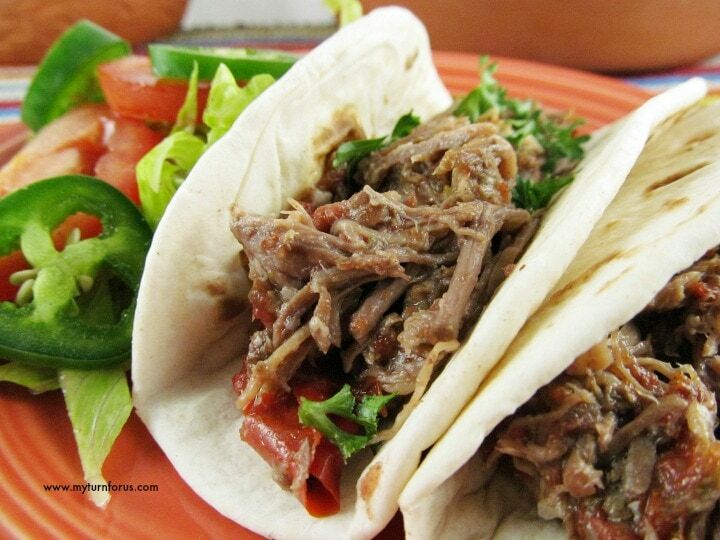 It’s a great way to the leftover machaca. Place the machaca in a medium skillet, heat and add a few whipped eggs. Cook the mixture until the eggs are firm and fill a tortilla with the meat and egg mixture. Add chunks of cooked potato to the machaca to make a breakfast machaca burrito. I love a machaca con huevos burritos with or without potato. If you don’t quite have enough of the machaca left over, the potatoes can stretch it. Our favorite way to serve this is to set out a heaping bowl of machaca for everyone to serve themselves. We heat flour and/or corn tortillas on a comal and place them in a tortilla keeper to stay warm. We serve it alongside corn and/or flour warmed tortillas, salsa, jalapenos, and avocados. And everyone can build their machaca burrito or taco with their favorite ingredients which makes less work for you. 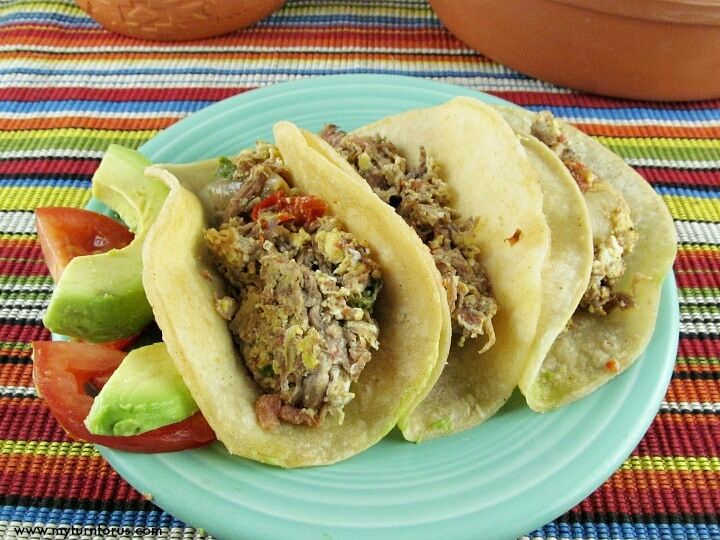 This Machaca recipe can be used to make mini tacos or a machaca burrito. It’s great for a party as finger food or appetizer snacks. Also you can serve this Machaca burrito with sides of Mexican rice or refried beans, lettuce, and tomato and topped with cheese if you prefer. 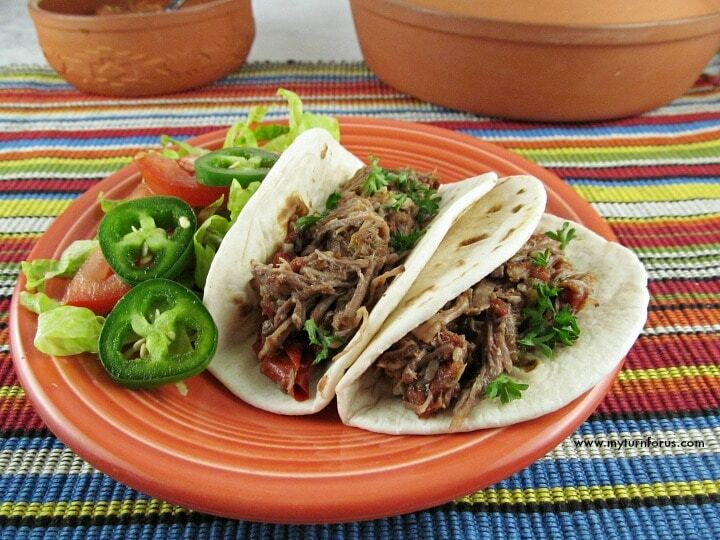 We hope you enjoy this easy Machaca Recipe and would love to hear from you.